Ever wonder what beer aficionados are talking about when they say proper glassware? The concept isn’t new, and it’s not something that’s happening just because craft beer is trendy. In Belgium, it has long been the practice of brewers and bartenders to serve each and every beer in its proper glassware. Look up, and you’ll see rows upon rows of sparkling stemware hanging from the ceiling above the bar, each spotless and anticipating its next perfect pour. Once you get used to proper glassware, it’s hard to go back, because pouring beer into a glass sets it free. It can enhance your drinking experience in pretty much every way: from the visuals, to the aromas, to, ultimately, the taste. Perhaps the most important thing the right glass can do for beer is affect its taste. Glassware won’t magically make bad beer good, but it will encourage you to pick up on the full experience of a beer. A pint glass or mug is made for gulps of low-alcohol session beer, while a smaller-mouthed glass forces smaller, more concentrated sips. The next time your server asks you if you’d like your beer in a glass, say yes! And don’t be afraid to request a certain glass style, either. The shape of your beer glass matters. You’re not being snobby or rude; you’re being a smart, perfectly polite patron readying yourself for the best possible beer experience. You might think you know this one: mugs. Mugs have their time and place, and that is sloshing around at Oktoberfest. Any other time you’re drinking a lager or pilsner, you’re best served by a flute. When we say flute, we don’t mean a Champagne flute, we mean a relatively small glass that has a conical shape, narrow at the bottom and opening up a bit at the top, showing off a lager’s clear, sparkling straw-gold color and allowing for a fluffy head. This glass is designed to elevate the stout experience by accentuating coffee and chocolate notes while still being functional. Thanks to its indented base, the stout glass works especially nicely with nitro stouts, recreating a pour (and thus, creaminess) with each and every sip. In lieu of an official stout glass, go for an imperial pint glass, or nonic pint. This latter name is derived from the nickname “no nick” because the bulge at the top of the glass allows for easy holding and stacking abilities in the pub, therefore minimizing nicks and breakage. The shape also allows for better head retention than the American pint glass. The German-style hefeweizen has long had its own glass, also referred to as a “vase,” thanks to its strong base, tall shape, and bulbous top section. This style of glass emerged because the bowed shape of the mouth allows the aroma to stay inside as you tip the glass, sticking your nose into the bulb, and bathing your nostrils in banana and clove aromas classic to the style. It’s okay if you get a little foam on your nose. American wheat ales and Belgian-style witbiers are slightly different from their German parents. American wheat beers are hoppier, more refreshing, and skip those cloying banana-clove esters and phenols for a lighter, yeast-driven fruit and spice character. Many brewers add ingredients like coriander and orange peel to spice things up. The wheat beer glass has a bell shape to enhance the floral and fruity aromas. An IPA glass is intricate. Like the stout glass, the base cuts in, indenting to capture beer at the bottom of the glass. But in the case of the IPA glass, beer in that section will pass through several ridges that ramp up the aroma, while the wide open mouth awaits to capture those molecules and provide a space for a fluffy head. This allows you to take in all those fruity citrus and piney aromas while you gulp. 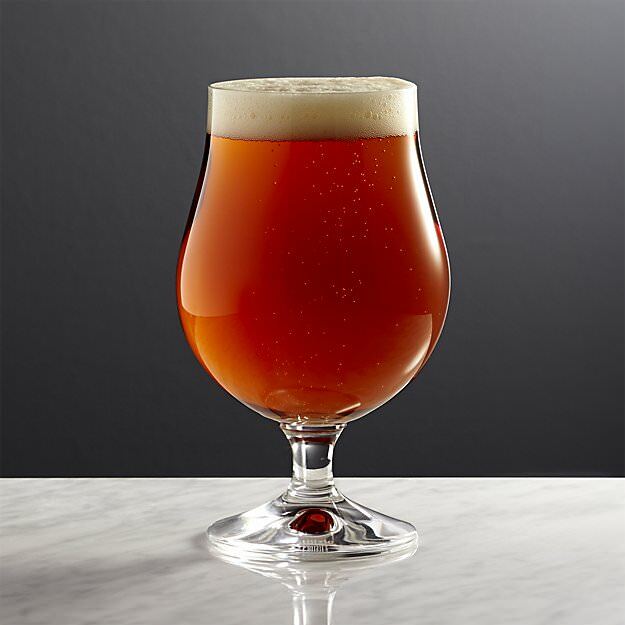 For big beers like barley wines, meet the snifter. You may recognize this little guy as a fancy glass for sipping bourbon or other brown spirits. For the same reason it’s great for sipping spirits, the snifter is ideal for boozy, barrel-aged, or otherwise strong, malt-heavy brews that tend to pack a lot of alcohol heat, complex layers of malt flavor, and, in some cases, helps to unpack other flavors, vanilla, cocoa, etc., for example. The short stem gives its holder a decent grip while allowing the fingers to touch the glass, helping to warm the beer and better deliver its aromas (in the case of big beers, a little warmth is good, helping to release aromas from the dense, heavy liquid). Sour ales do well in a goblet, but this is not really common practice in today’s breweries and beer bars. The tulip serves sours great, capturing and holding their aromas while allowing for head retention, all the while allowing you to fully take in the liquid’s aromas and acidity without warming them up with your hand. Don’t cut corners when cleaning your glassware. A glass that isn’t perfectly clean messes with head retention, banishes the aroma, and compromises the mouthfeel. It doesn’t look either. Almost every beer deserves a healthy foam capper to keep oxygen out and aroma in. A perfectly clean glass is free of any impurities: leftover sanitizer, beer, dirt, food, detergent, grease, chapstick, lipstick, or anything else that would provide the escaping CO2 a spot to cling to. These areas of grime act as nucleation sites, allowing bubbles to cling to and collect around the point. 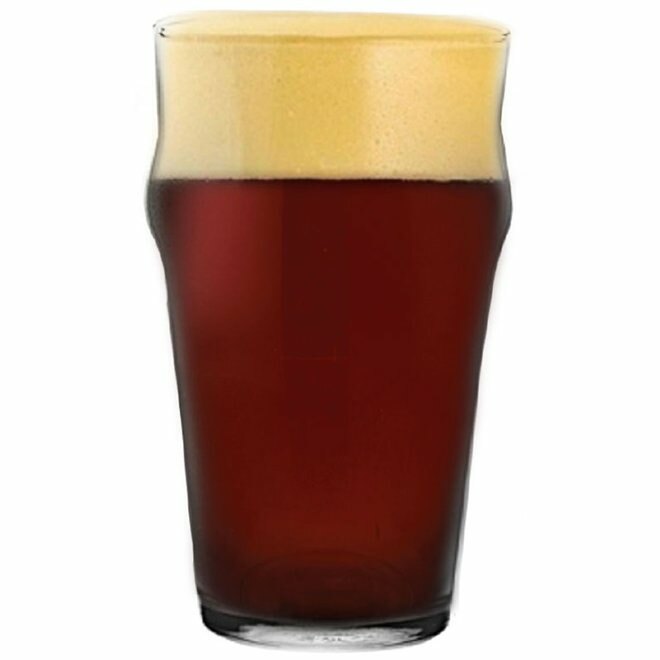 Anytime you serve a beer in a glass that is not free of impurities you will quickly see the hidden residue that remains on a seemingly clean glass. Bubbles clinging to the inside of a glass is the most obvious sign that the glass is not properly clean. A lot goes into that glass of beer, be sure it’s not spoiled by drinking the beer out of a dirty glass. Stop by one of our six locations, and our highly trained staff will be glad to help with any questions you may have. Enjoy!